OMG! 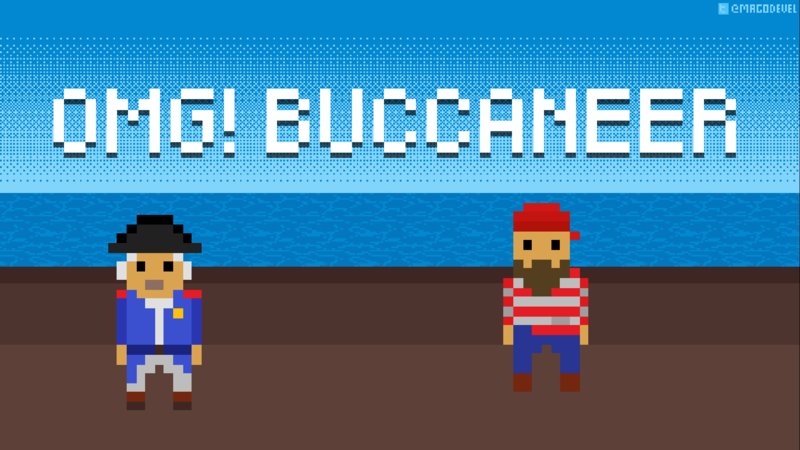 Buccaneer is a game writen for the #openJam and the #OMGJam. 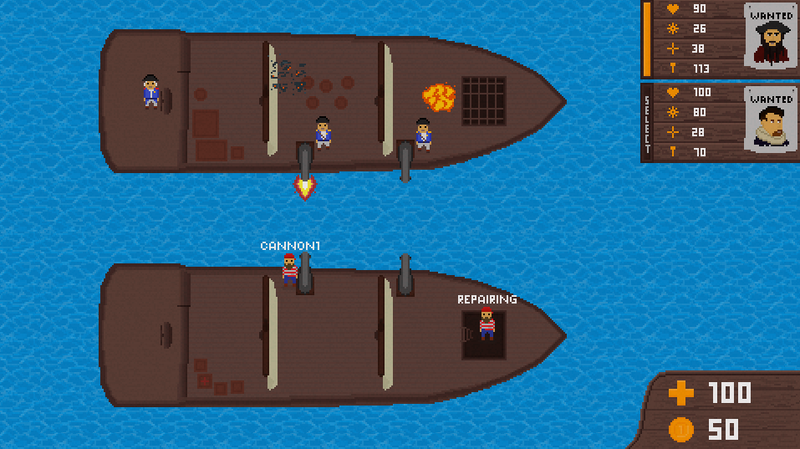 It tries to unify the 'One Mechanic Game' topic with the 'Leave a mark' theme. Manage up to 4 legendary pirates and become the best pirate alive, arrr! Command them with the Mouse. Let them shoot, steer, repair and heal! Did not find how to control the second guy, and what's the point of staying by a steering wheel. 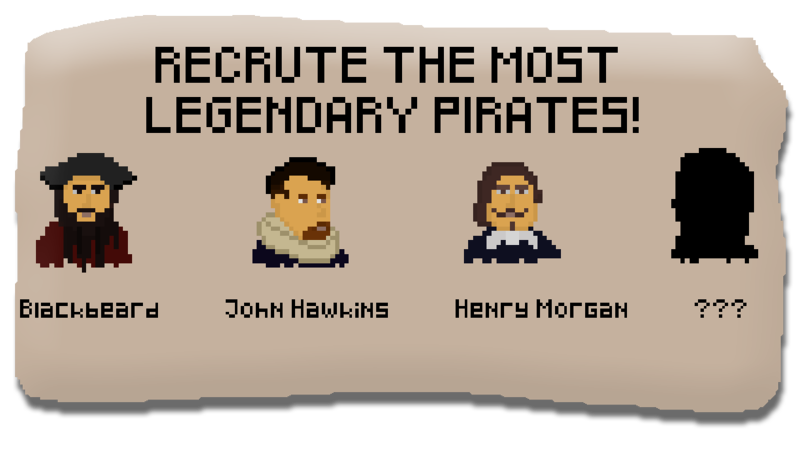 I´ve updated the page and added a picture showing all the areas and how to select a pirate. 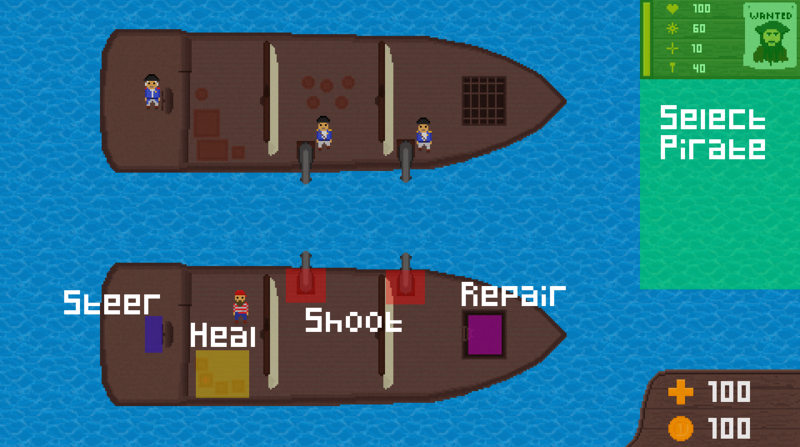 The steering wheel is currently only needed when the sea is rough (stones and wood swimming around) to avoid/reduce damage over time.